Adafruit AR on the App Store @adafruit AR invoices! @apple #arkit « Adafruit Industries – Makers, hackers, artists, designers and engineers! This week, we’ve been working on an AR model of the Adafruit NeoTrellis M4 with Enclosure and Button Pack! Have you downloaded our AR app yet? Well, what are you waiting for? 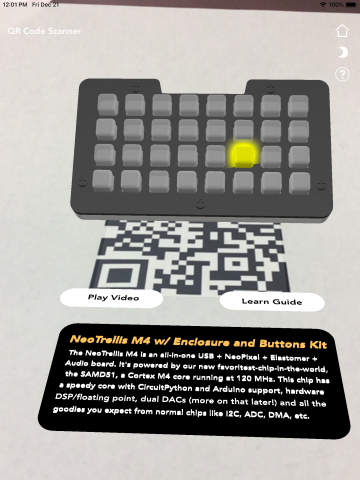 ☺ Download our free Adafruit AR in the App Store today, click here! Who doesn’t’ like free stuff? Check back to the Adafruit Blog for all Adafruit AR news and updates!